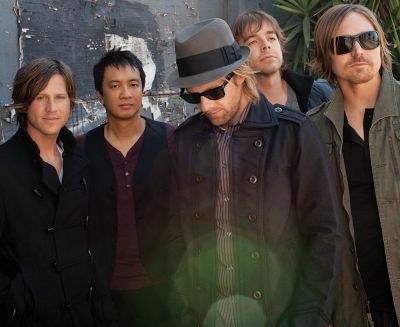 We catch-up with Switchfoot drummer Chad Butler before the band’s current UK tour to speak about about the new album ‘Vice Verses’, its success and just how important the whole thing is to their evolution. It pays to be the nice guys. Underdogs or not, so many bands that deserve endless credit often go un-noticed for way too long, while other more drab “artists” receive all the praise because of the way they look or who they’ve toured with. However, it is something to celebrate when a band, who not only surpass others with seemingly endless talent, receive recognition while wearing their heart proudly on-sleeve. This is why Switchfoot are the true, real, proper nice guys of rock, with their humanitarian work, message-driven music, and a straight-up modest approach toward creating awesome, inspiring and constantly upbeat tunes. Our conversation with this dedicated sticksman reveals a lot of things about the band’s latest album, ‘Vice Verses’, about the group’s constant aim to make a global impact both on and off-stage, and most importantly, it gives us an insight into what motivates Switchfoot as a whole. It’s clear that success (the band’s 2009 album ‘Hello Hurricane’ won a Grammy for Best Rock Gospel Album and the newest release has been met with much critical acclaim already), hasn’t changed them one bit. 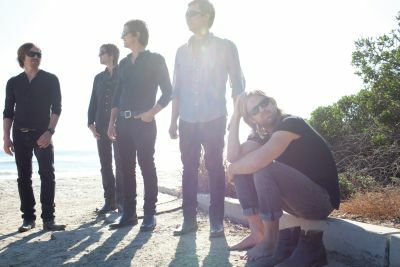 Throughout their rise in fame, Switchfoot have made sizeable contributions to charitable organisations such as the One Campaign, Keep A Breast foundation, Habitat For Humanity, and many others. After the band’s visit to several small South African villages, they were inspired by the poverty and bravery that they saw there to establish a charity called lowercase people in 2007, which is determined to raise money and awareness to help “underdogs” including victims of Hurricane Katrina to African Communities ravaged by poverty and AIDS. So then, how do the band feel about their 2011 release ‘Vice Verses’? Pretty good it seems. In a figurative term, ‘Vice Verses’ is the spiritual successor of the band’s most commercially successful record in ‘Hello Hurricane’. Chad states: “‘Hello Hurricane’ was a big challenge, and it took nearly three years to make and to figure out what we were trying to say, and how to say it. ‘Vice Verses’ carries on with that message, and we continue on with a lot of the same ideas. We knew where we wanted to go with it, musically and lyrically; ‘Vice Verses’ pushes things a little further for us. “Personally, I feel it’s the most ‘soulful’ record we’ve made.” There is little reason to dispute this. The album has so much intensity at times, and while carrying on their uplifting alt-rock legacy, there is added experience, and indeed power, behind it. For more information visit the official Switchfoot website.